I wish, if I may, to point you in the direction of Jez’s blog, Novemberfive. This time he and his missus, The Pine Martin [sic] have been out on their bikes exploring some Salisbury Plain abandoned buildings. Lovely and haunting photographs on his blog, and probably a few more he’s kept back for himself. Coincidently, yesterday I briefly caught up with a friend who gave me an amazing book called “Night Vision: The Art of Urban Exploration,” by Troy Paiva, a superb photographer. He finds abandoned military bases, hotels, towns and takes astonishing night time shots on really long exposures, so atmospheric. The book is an absolute thing of beauty, Chronicle Books clearly knowing how to present these photographs in the best possible manner. Check out Troy Paiva’s Flickr photostream for a taster of the images within. All this reawakened a memory, jogging it loose from the silt in my mind and sending it bubbling up through my consciousness. Many years ago I used to ride the Wiltshire Historic Churches Trust annual bike ride. The idea was that one would visit as many churches as possible in one day, an attendant at each building would sign your sponsor form (or you would sign the visitors’ book if there was no one there) to prove you had been there. You would be sponsored an amount per church that you visited. In my latter teenage years I took to riding with Dave Mitchinson and George Knighton, who I worked with on Freegrove farm, hauling bales, herding cattle, clearing ditches and, (God preserve me from ever having to do this again) picking potatoes. 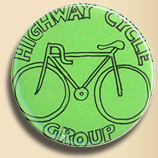 One summer we set out on the annual church cycle ride along routes often followed by the members of the Highway Cycle Group. Foxham, Spirt Hill, Sutton Benger, seemingly hill after hill after hill, rolling up and down. For long hours the only signs of life were cows lazily chewing up against the hedges and swallows swooping along scant inches above the scorching tarmac. It was a blazing hot day, the distant hills and patchwork fields were laced with haze, micro-mirages of puddles formed in the road ahead of us, rippling in the air before evaporating before our eyes as we laboured up the slopes of the steepest hills North Wiltshire could throw at us. I think it was Dave, who after guiding us into the tiny church at Bradenstoke, took us on a detour down a farm track dusted with powered white clay-soil to the ruins of Bradenstoke Abbey. Approaching the old farm there, we experienced a frisson of excitement. None of us really knew if we were on a public right of way (we weren’t), the tyres seemed unnaturally loud as we freewheeled over the chippings towards a rotted, wooden five bar gate sagging pathetically on its hinges. We hid the bikes in a tangle of weeds behind a low ruined wall before slinking down an avenue of ancient lime trees to where a doorway stood, or at least the stone arch of what was once a doorway. Then we lowered ourselves into what we assumed were the vaults, choked with brickwork and stone piled in the centre of the room. Dust danced in fierce shafts of sunlight that illuminated the ruins, we hardly dared to speak, tense whispers were all we could manage to raise. Then climbing up the rubble and out the other side, nearly falling down a well hidden in the ivy and ground elder on our way to the tower. Dave, being the smallest, but also the most flexible and speedy climbed quite a way into the tower, owl pellets were scattered at the entrance and up above we could hear the beating of wings. Dave came down, pretty quickly. Here and there a collapsed wall revealed a glassless window where we could peer into the stygian darkness below ground, still, quiet, air, reeking of musty stone, disquieting blackness. Out into the long, dry stalks of grass and wild barley. Chirruping grasshoppers leaping out of our path as we struggled back towards the bikes, sunburn prickling on our arms as we wheeled them past the seemingly deserted farmhouse. Then mounting up and riding away down the dusty track in a rattle of mudguards and loose chains, back towards civilization and the prospect of a ice cold bottle of cola from the stores in Lyneham. Strangely enough, the abbey was not ruined that long ago. American newspaper baron Randolph Hearst had a thing for British historical buildings. He bought the Abbey and had it taken down brick by brick, either to be shipped to America or his castle in Wales depending on which version you hear. Legend has it that a warehouse somewhere still contains unopened crates of the bricks and stone. I’ve found it quite difficult to track down some images. Since I rode to the abbey that summer, it has changed hands and the present owners are doing a lot of work to restore it. It is not on public view though apparently one can walk past on some public rights of way. I visited a few years back and the owners gave permission for me to have a look round. 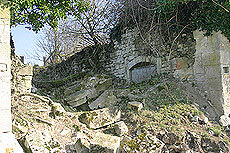 sadly, but also sensibly, the vaults were boarded up with keep out signs everywhere. 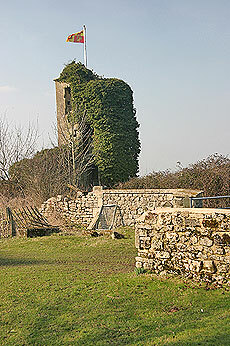 The Tower in 2006 after some extensive refurbishment and cutting back since the time we visited. The tower can be seen on the ridge at the back of Lyneham and Bradenstoke that faces the M4, the trainline from Bristol to Swindon runs even closer. 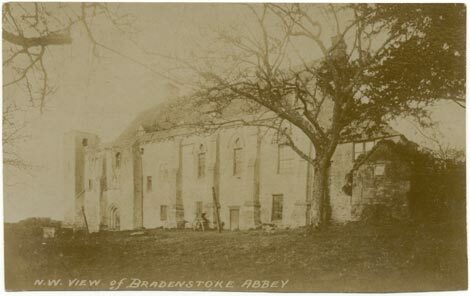 I’ve always wondered about Bradenstoke abbey as I’ve driven along the road to Lyneham through Dauntsey. You can just about glimpse it on the hill along there. 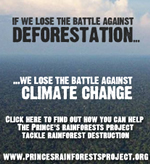 Really pleased to have stumbled upon some information about it. Thanks for your comment – I’m very glad you liked the post. Found your blogs and just became engrossed in them. Love cycling as well so identified with it, especially the blog about itching to get the bike on the road. It’s also full of useless but great information and I just love your observations. Brilliant. Thanks Terry, glad you enjoy the blog. Hi Andy, I’ve tried to email you to credit the source, but have got no reply. More than happy to credit the source. The site I got it from has since gone, can you give me the credit you want and I will post accordingly. Apologies for not crediting. My mum just told me about this blog!! Funny reliving my youth through you’re words!!! Awesome to see the before pics!! Wonder what happened to George – millionaire I presume!! Hi Dave! Great to see you here! We should relive the ride one day – do they still do the Historic Churches Trust ride?